The bare-metal nodes will be provisioned and deployed using the bare-metal service driver, namely pxe_ipmitool, which interfaces with their IPMI interface for power management, and provides the PXE boot chain. They shall first be registered against the bare-metal service. The configuration parameters necessary are the MAC address of each node, the IPMI interface IP address, and optionally the IPMI authentication parameters. Optionally the node can be named. The only mandatory parameters that need to be properly configured are pm_addr, pm_password, pm_user, pm_type and mac. The cpu, memory, disk, arch parameters are initialized to any default values as these specifications will be discovered later on. Next the bare-metal node definitions will be imported. This will result in registration with default capabilities. 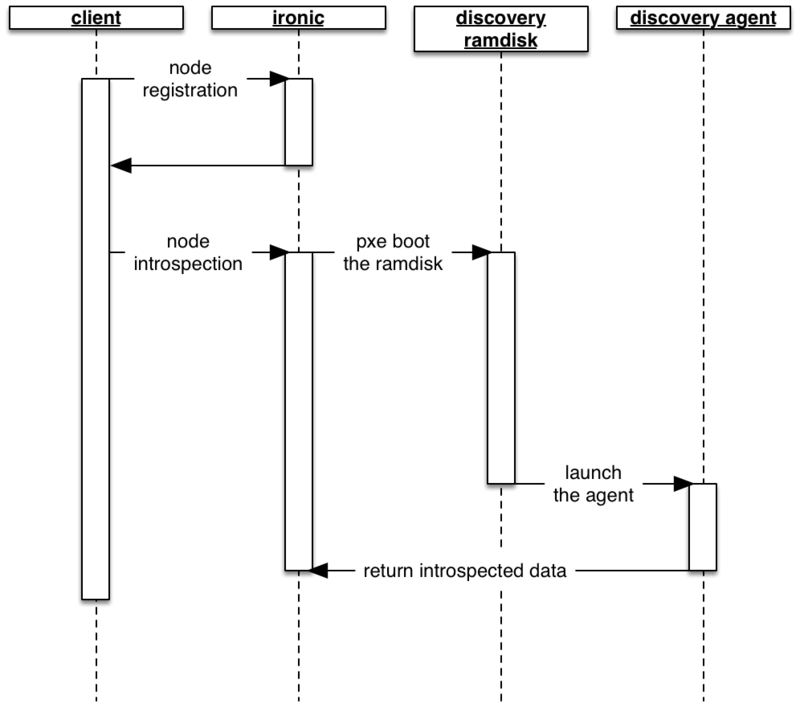 The next stage involves introspecting the servers to discover their real capabilities. Replace the git URI if using a specific fork to provision PNDA. This definition must reflect the machines that will form the installation, as described above. These are the flavors that will be used when provisioning Nova instances. At this point the nodes power state shall be defined (i.e. different from None). If not, then this reveals a connection issue between the bare-metal service driver and the nodes IPMI interfaces. The CPU, memory, etc represent default capabilities that will be replaced during introspection. Node 464b81cc-6dd7-48f2-9e86-30450e592009 has been set to available. The node is now registered with the right capabilities. Once the introspection is done, we need to inspect the results to tag the nodes appropriately. 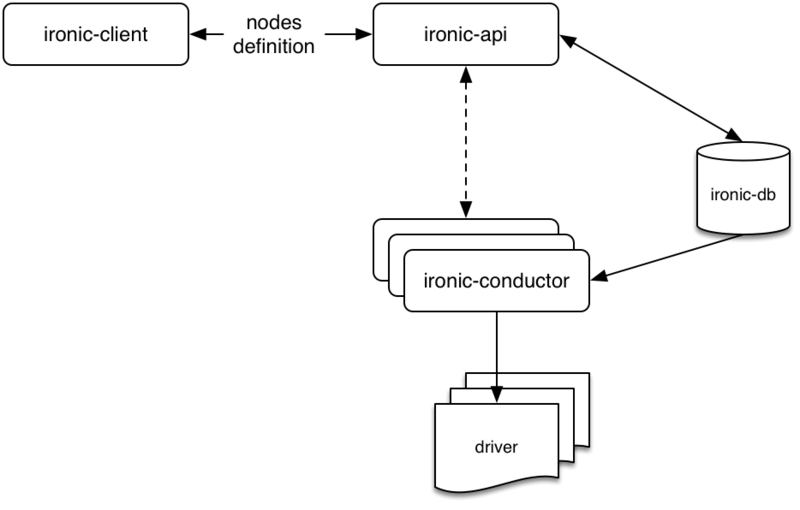 When we provision instances using Nova, the scheduler will select hardware resources to satisfy the requirements of the given instance flavor based on the tags found against the nodes in Ironic. For example, we may tag a number of hardware resources with a flavor corresponding to 4 cpus, 4GB memory and 50GB of storage - when we create a Nova instance with this flavor any one of the matching hardware resources may be chosen. Firstly we&apos;ll generate a simple tabular summary of the node capabilities based on the introspection output. We will now use this to discriminate and tag the nodes. Next, get lists of nodes by their profile. Next, for each profile, update the properties/capabilities in the node metadata to include the correct profile and boot_option. Finally, tag the master node. At this point should have a fully working infrastructure ready to create Nova instances as one would in a cloud environment. Validate this by creating a simple instance and logging into it via SSH. Note it can be useful to follow the instance spawning progress using virsh console pnda-master on the Build Node.